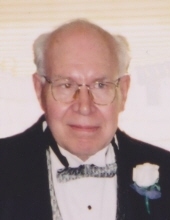 David Meidam, age 79 years, passed away at Atrium Acute Care of Appleton, peacefully the morning of August 20, 2018. David was born to Stephan and Ethel Meidam, (Froehlich) on October 9, 1938 in Appleton, Wisconsin. David was legally blind and went to school at Janesville School for the Visually Impaired as a teenager and continued to go to the reunions each year and was active in the blind community. He worked at Appleton Medical Center for 40 years when he retired in 2004. He is survived by his children Jeff (Amanda) Meidam and Jenny (Shawn) White, his three adopted sons Joe, Jim and Jerry (Jenni) Meidam, a sister Sandy Stone and nephews Shane (Tanya) Stone, and Travis Stone, grandchildren Thomas Meidam, Deidra Clay, Samantha and Nolan White and Hunter Meidam and his twin great-grandsons born in May. Preceded in death by his granddaughter, Trinity Meidam. A Memorial Service for David will be held on Monday, August 27, 2017 at 1:00 PM at Faith Lutheran Church, 601 E. Glendale Ave., Appleton. Thank you to the staffs at Atrium Post Acute Care of Appleton, Community Care Services and Southern Care Hospice for the kindness and caring of David. To plant a tree in memory of David Meidam, please visit our Tribute Store. "Email Address" would like to share the life celebration of David Meidam. Click on the "link" to go to share a favorite memory or leave a condolence message for the family.